PC-DMIS SMA Support - CMM Inc.
VXXALL.ZIP: Contains all language files. VXXENG.ZIP: Contains the English language install only. This is the file for MOST customers. Once your ZIP file has been downloaded, it must be extracted into a folder for installation. You can do this by right dragging the file onto a folder and selecting the Extract to the location option. You MUST have administrative privileges to both install and use PCDMIS as it modifies your registry and stores all standard settings there. Verify your portlock date. To do this, open up the current version of PC-DMIS, click on the Help menu and select About. Scroll down to the Modules list to find the date. Among the files that you extract will be a file called Setup.exe. Double click on this file. If VXXFULL.ZIP was downloaded and you own any of the support programs for PC-DMIS as listed at the top, you will be prompted to install these as required. Eventually, you will be prompted to install PC-DMIS itself. You will be prompted to select a folder for the installation. If you choose to keep a previous version of PC-DMIS on the same computer, it is recommended that you install in a folder named for this new version (i.e. C:PCDMISW41). Installing PC-DMIS in a new folder will allow you to run your old version in parallel until you are comfortable with the new system. 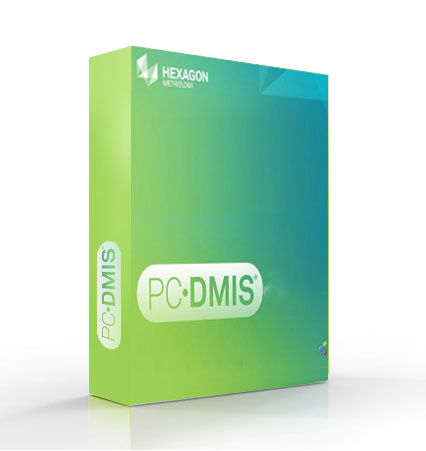 If you choose to have the new version of PC-DMIS as your only version of PC-DMIS on this computer, using the default folder is acceptable. You will then be asked to supply a group name. Use the default if the new version of PC-DMIS is your only version on this computer, or you can type a new group name, specifying the version (i.e. PC-DMIS 4.1 Release) if multiple versions will be present. The files will now install into the specified folder. PC-DMIS will automatically detect your controller type and set files accordingly. Uncheck the box to Launch PC-DMIS after Install Finishes. At this point, it is highly recommended you contact us for further system specific settings. Different brands of machines have different files and registry settings to work properly and efficiently. If any of these settings are not present or entered properly, your recent calibration error map may not be utilized. Email Technical Support or call 905-819-7878 for further assistance.